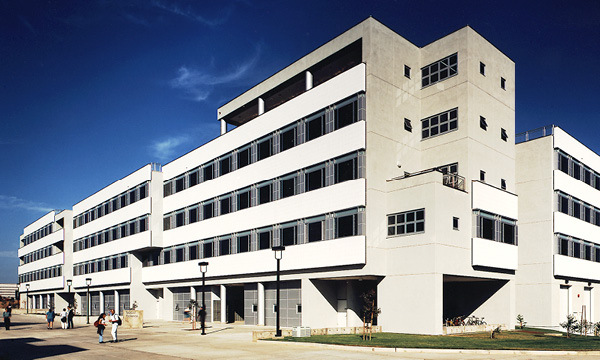 Scripps Mercy Hospital’s expansion of the Cardiovascular Center required the vacating of space on the second floor occupied by the Medical Library, and a much-needed upgrade of the Medical Library facilities. 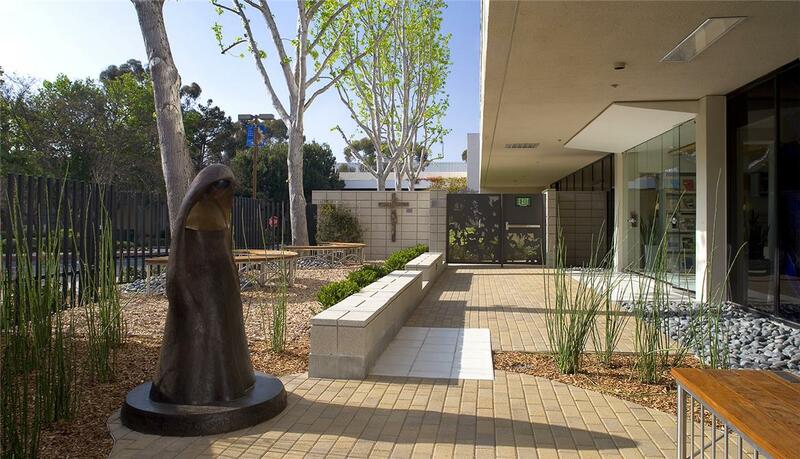 The facility wanted to take advantage of underutilized space on the first floor and provide access to an outdoor area in conjunction with the Medical Library. 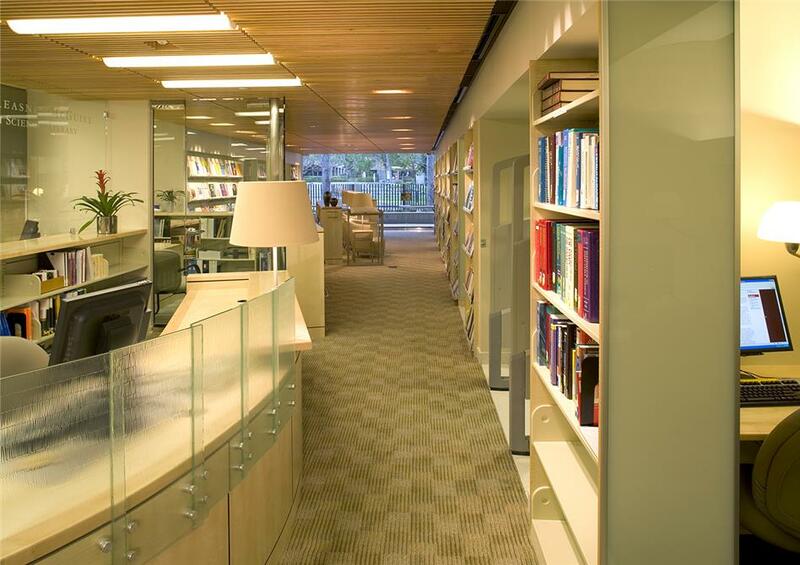 While maintaining an extensive collection of bound journals and textbooks, the library wanted to expand facilities for electronic research and communications. It was designed to maintain a generous stack space, while significantly increasing the number of individual research units. Creating a feeling of openness with the indoor space extending to the outdoors, several areas of the facility provide for individual research, reading and group meetings. 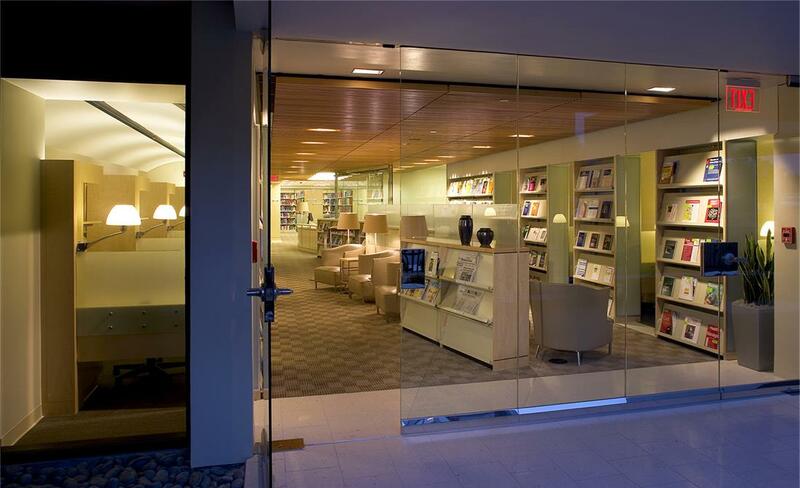 The project remodeled approximately 3,200 square feet of existing first floor space within the Scripps Mercy Hospital to create the new library within the Administrative wing. 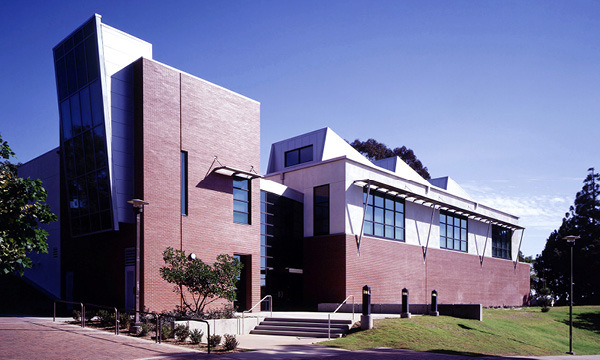 The library includes areas for individual study and research, group meeting, stacks, staff support/work spaces, periodicals/seating, and a large outdoor courtyard. 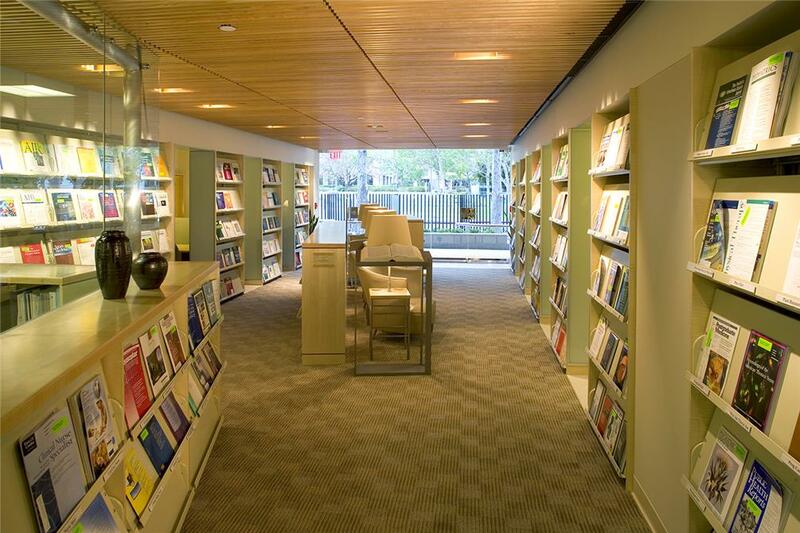 The design for the library was conceived to reflect high-tech library services while providing a relaxing research-oriented environment for physicians, patients and staff.